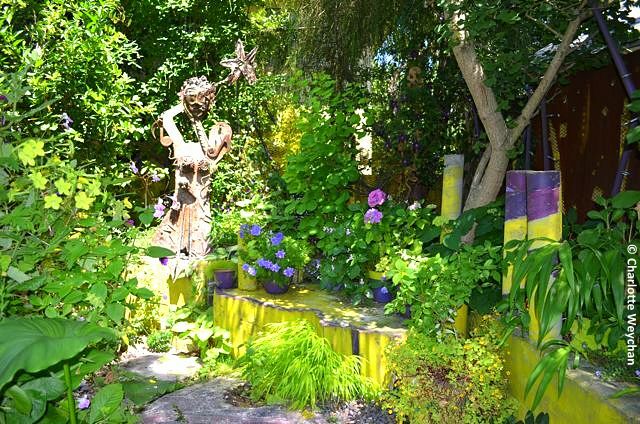 I never thought there would be so many unusual and interesting gardens to see in the San Francisco Bay area, but having spent the last three days on the 13th annual Garden Bloggers Fling, I have been proved wrong. 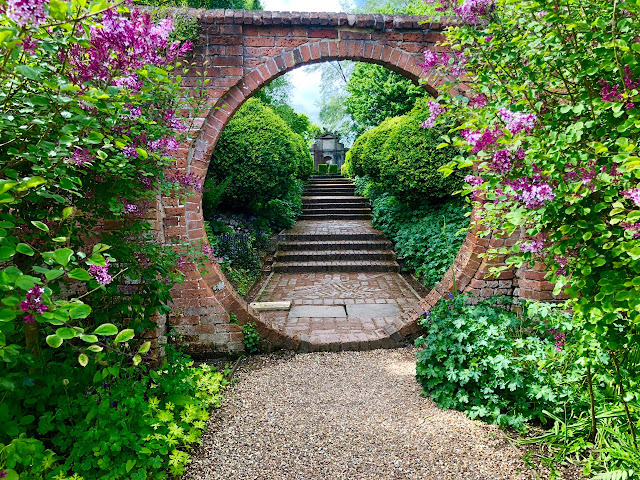 I've seen some amazing places, met some of the world's great garden bloggers, and had the chance to see a dozen new gardens - some private and others open to the public. 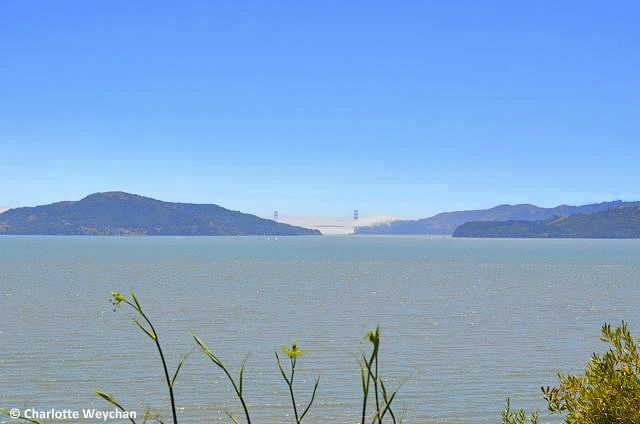 Temperatures climbed well into 80s in San Francisco, and a lot higher further inland over the weekend, with some parts of California seeing highs of went well over 100 degrees as the West Coast was hit by a heatwave. Of course, the Texan bloggers - Andrea, Cindy, Diana, Melissa, Pam, Susan and Vicki - thought nothing of the searing heat. But my fellow English bloggers Helen and Victoria were just as surprised as I was by the unusually hot weather. 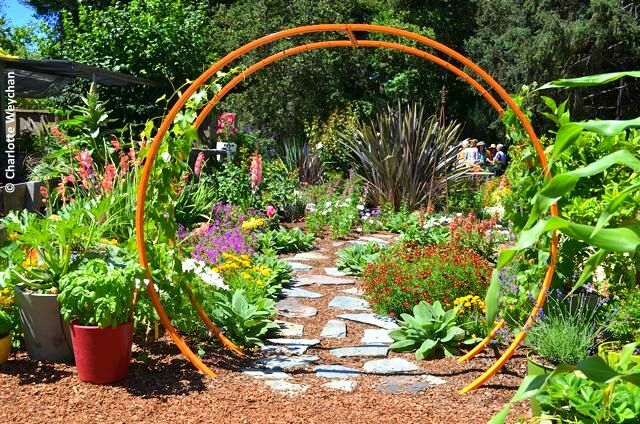 So while I take the time to catch up and collect my thoughts (I'm now back in southern California visiting more gardens before returning home), I'm giving a sneak preview on some of the amazing gardens visited during this year's Fling. 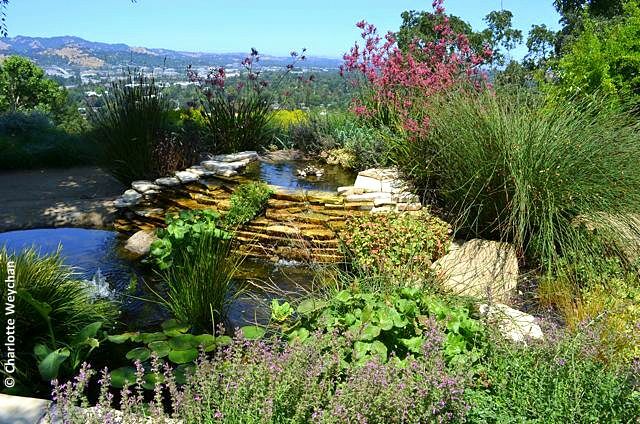 Many of the landscapes we visited were small, private gardens, including Keeyla Meadows' wonderfully coloured plot in Albany (below) and the remarkably peaceful Dudan Garden in Walnut Creek. 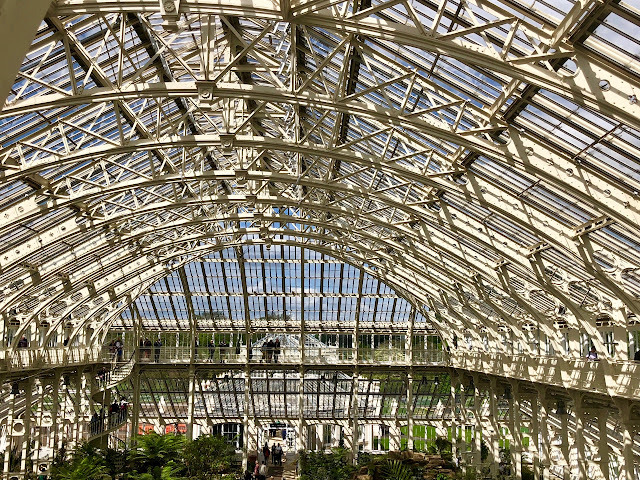 We also visited nurseries and garden centres and a couple of legendary public gardens in the Bay Area including Filoli, Ruth Bancroft and the San Francisco Botanical Garden and Conservatory of Flowers. So while I take the time to catch up and collect my thoughts, I'm posting some tasters to whet your appetites. 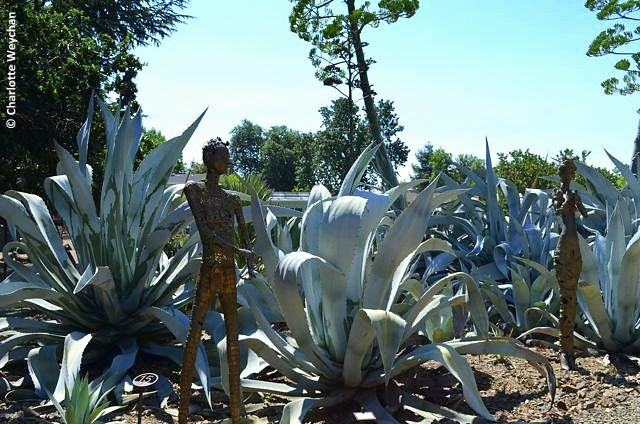 I'd like to thank this opportunity to all the California team for arranging such a wonderful itinerary for us all, especially Kelly Kilpatrick of Floradora ... and watch this space for full reviews on each of the gardens visited. It looks like you had an amazing trip! What fun it would have been to take part in the Garden Bloggers Fling! Next year's location is really calling me! The heat got to many of us. So glad we to see such varied gardens.